As the year cools down things are only heating up for Russian electronic duo, VOLAC, as they reveal an extensive North American tour. As if that weren’t enough, the duo have also announced their impending ‘FUNKY’ EP, out December 7th via AC Slater’s genre defining imprint, Night Bass. The ‘FUNKY’ North American tour will kick off at the end of November and close right before New Years, on December 30th. The first round of tour dates includes multiple stops throughout the grand state of Texas, heading west to Colorado and California, back down south to Miami, then closing up north with Edmonton, Chicago, Minneapolis, and Detroit. 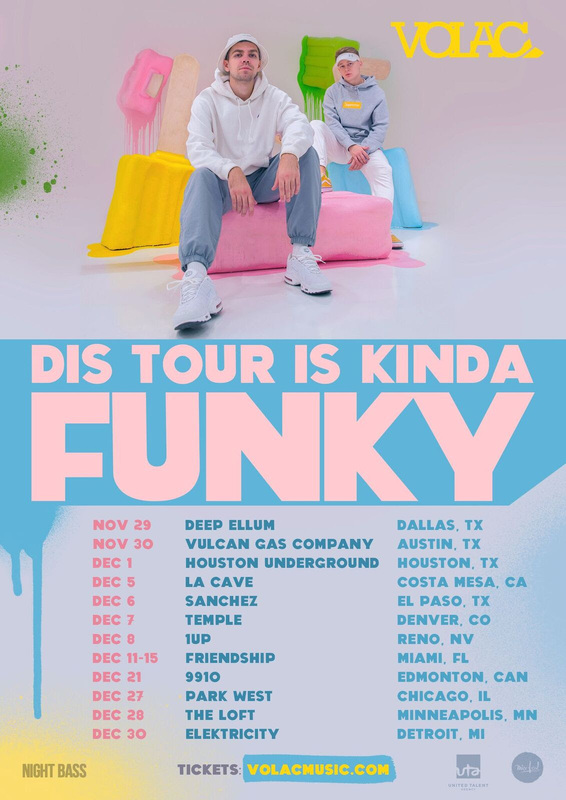 The ‘FUNKY’ tour follows VOLAC’s ‘Like Dis’ tour that featured more than ten cities in three different countries. Keeping the momentum rolling, VOLAC’s two track EP, ‘FUNKY’ will be released December 7th. Fans can stream a 30-minute mini-mix to preview the tunes via the link below. ‘FUNKY’ will be comprised of two tracks, ‘Funky’ and ‘Bass So Low’, out via Night Bass records. The EP is jam packed with booming kicks, heavy hi hats, and infectiously looping basslines that will bring listeners deep into the pulsing abyss of house music. VOLAC continue to make a name for themselves in the industry with their unique style and signature podcast, ‘VOLACAST’. Catching the eye of house enthusiast AC Slater, the duo soon began working with his record label, ‘Night Bass’. 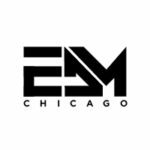 Having collaborated with Destructo, Sharam Jey, Proxy, Bruno Furlan and more, and having performed at festivals such as EDC Las Vegas and Holy Ship, the duo has proved they’re a forced to be reckoned with in the dance music industry.